Hello all! Welcome to Day 1 of Stamp Highlights! For the next few days we are going to showcase our fabulous Design Team's projects for each stamp set! Today we are looking at Eunji Jung's beautiful Freesia set! 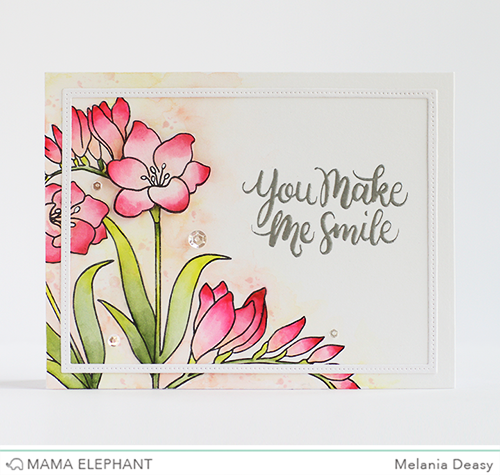 Love how Vera created this beautiful card with no line watercolor technique. Anna made an elegant package by gold embossing a flower on the Favor Bag. 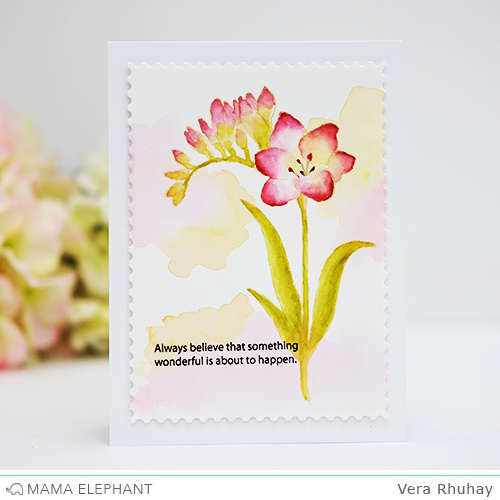 We loved how Deasy played with the Freesia stamp set with watercolor. 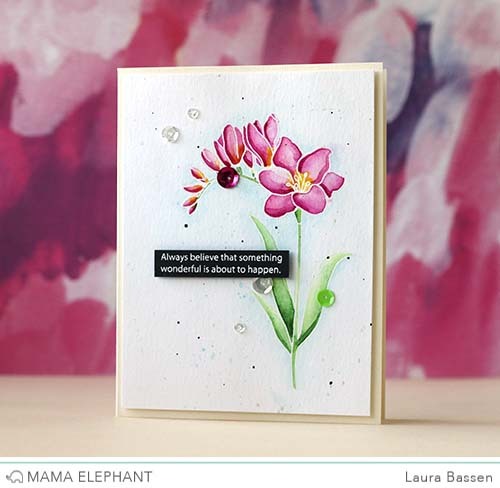 We love Laura's water colored Freesia. 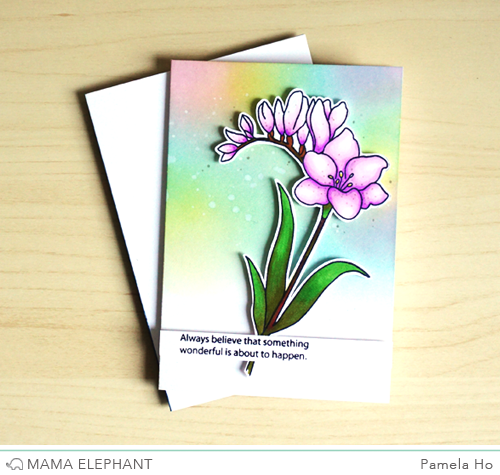 Pamela chose purple for her flowers against a splash of pastel rainbow background. Absolutely gorgeous projects...love this flower. What stunning cards and all such different effects with the same stamps! Beautiful floral stamp! 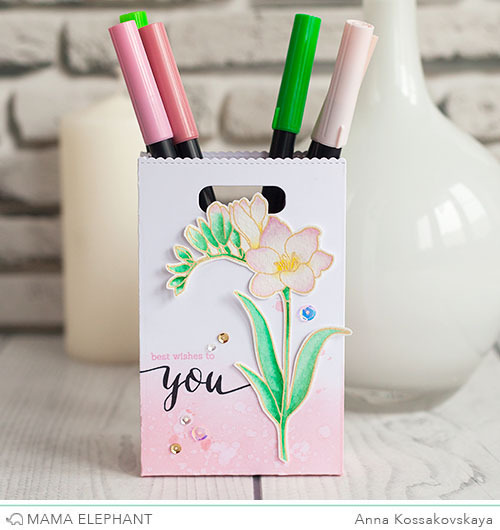 This is such a lovely flower stamp with which to work--every card reveals this. Thanks for sharing these cards. Wow, these are all so beautiful! great job everyone!! I love these stamps. The Freesia is such a pretty flower and how those flowers were coloring is so pretty! Each one is different and that's what I like. These Freesias are fabulous!The cards are beautiful. Gorgeous cards!! This is a most fabulous stamp and die set!! As seen here it is so versatile and no matter what your style is it will deliver beautifully! The design team showcased this set so nicely. Everyone of these cards are gorgeous! Such a lovely floral stamp! Perfect for favorite coloring techniques!